One of the best bosses I ever had taught me how to write. Well—she taught me how to write fast and with precision given the demands of PR. It takes time and practice, but even small business owners can publish three to five blogs per week. It’s all in this very simple process. 1. Schedule time to write every day, but don’t expect to publish the same day. Set the clock for one hour or 30 minutes every day and write. Don’t censor, just thrown it down on the page. There will be days when you don’t feel like writing, there will be days when you don’t write much. I’m sure even Stephen King has his off moments. But this is about establishing a habit. And that habit gives you the ability to crank out blogs pretty quickly. Sooo, you’re sitting at your desk ready to rock…but what do you write about? Think of your blog as the way to save time. Ironic, I know. But the email you will probably have to send to five customers? That can be a blog. 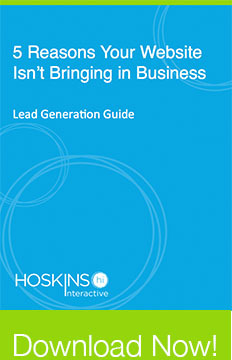 Questions that arise in the sales process about your business? Oh! There’s another blog topic. Your blog is one place where you can and should answer all questions about your business, products and services. I know a small business owner who can track $1 million in sales back to one blog post. Imagine how glad he is that he answered that question online in his blog. So when you’re stumped, unsure of what to write about: think about the problem you are you solving. This is what your prospects are searching for. I actually struggle with this because my gut instinct is to edit. But you have to write without criticism.You have to get the idea on the page—it’s even better if it reads like Greek. Your mind is letting loose, and you don’t want to disrupt the ideas and creativity. This is what makes content interesting, magical…just the thing your audience want to read, watch or hear. (I, for one, refuse to say that an audience “consumes content.” It just makes me think of the Cookie Monster eating a stack of paper). Write until the timer buzzes and then close the document. Don’t look at it—put it away for a few hours or until tomorrow. The reason? You need to look at content objectively, and it takes about three passes to make the message clear and concise. So it’s best to give your mind a break and focus on something else in between edits. Now that you can see your draft with somewhat fresh eyes, it’s time to dig into the hard part. This step is about clarifying your thoughts and simplifying structure. Look at your blog post for ways to clarify. What did you mean to say and did that come across? Can your audience relate to the message? Did you use industry jargon? Is this the language your audience would use? Does each paragraph relate to the next? Do the ideas flow naturally to a conclusion? Show, don’t tell. It’s more compelling to inspire imagination, so illustrate your points. Be descriptive. Review for these things. Now put the blog away for awhile. Journalism is the best training ground for writers, because you learn how to be dynamic and clear with very few words. So cut the fat. The fewer words, the better. It makes the piece easier to read. Watch for prepositions and adjectives. They clutter the sentence and slow down the reader. Verbs are your friend. Your sentences should be as active as possible—verbs are exciting and inviting, easy to read. Go crazy here. Your blog should be pretty lean and mean at this point. Now it’s time to look at (AP) style and make corrections. The AP Stylebook is the journalist’s bible. It is is the hallmark of professionalism in the publishing world and one of the most important things for a writer to master. The book details proper code for punctuation, capitalization, abbreviations, how/when to hyphen and how to refer to…just about everything. It is a world unto itself, one that will reflect well on you. Get this book, app or online subscription. Enough about words: how does your blog look? Format with white space, bullets, bold font, titles and images. Nothing adds more interest than a compelling image. Make sure you own the rights or have permission to use said image (we like Photopin). Always credit the photo and link back to the source page. How do you know it’s good content? Read it out loud. I’ve been writing professionally for 13 years, and I can’t be sure a piece is tight until I hear how it sounds. You will be amazed at the little errors you didn’t see but did hear. Make it easy on yourself: don’t try to write, edit and publish a blog in one sitting. You really need time to develop the message, clarify and crystallize it. You also need time to edit— see and hear ways to simplify and correct. This can happen in three passes if you are focused. And remember: the beauty of the Internet is that you can correct blogs at any time. Don’t let the fear of errors delay publishing. It’s easy to feel pressure to publish content: more! now! faster! It’ll come. I believe quality matters most in the beginning. You’ll get the rhythmn. Eventually, you’ll be able to easily throw down part of one blog (or all) and edit another in the same setting. The trick is to give yourself space in between viewings and limit your time. Start with one hour per day. With daily practice, blogging will become very natural, easy and fast. Is your blog reaching the right audience? 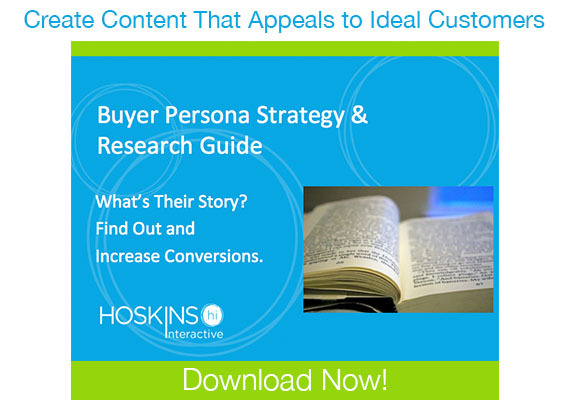 Download our free Buyer Persona Strategy & Research Guide and learn how to attract the people you want to do business with.